Although many of our customers down south are enjoying the joys of winter, those of us in the Northern Hemisphere are suffering through a crazy heat wave. Many companies find summer to be a little slower paced, with people taking holiday time. One way to liven things up during the dog days of summer is to use this quieter time to collect content for learning and assessments. 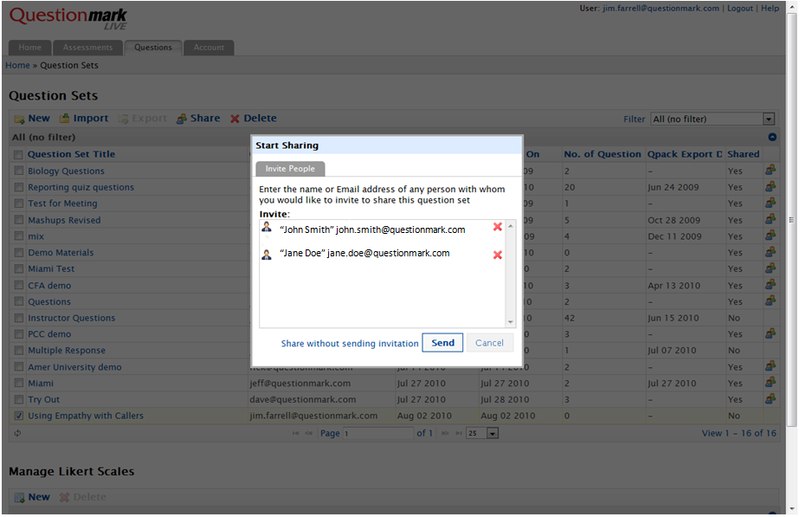 Questionmark Live an easy-to-use browser-based authoring tool that you can push out throughout your enterprise to collect fresh, new content any time of the year. Let’s look at how a call center could use Questionmark Live to collect real-life scenarios from agents. While real-world scenarios are vital to training new staff in call centers, they are also very good refreshers for veteran workers who do not regularly get every type of call. To start collecting scenarios, set up a number of question sets labeled for certain types of scenario to share out to your teams. This makes you the owner of the question set and keeps anyone else from deleting content. Use Explanations in Questionmark Live to collect the scenario. Then have team members write questions to use with the scenario. When the questions have been collected, have each team member edit one other person’s question. The question versioning includes all of the information about who has been editing and the changes that have been made. This is a great way to collect content that is relevant to the jobs and tasks being performed and keeps your teams up-to-date with content they might not see every day. When agents get comfortable with this process, you should encourage them to create question sets of their own so they can create scenarios throughout the year. This process will greatly help instructional designers as they refresh training and start new training programs. If you are not already using Questionmark Live, it’s easy to learn more and try it out!